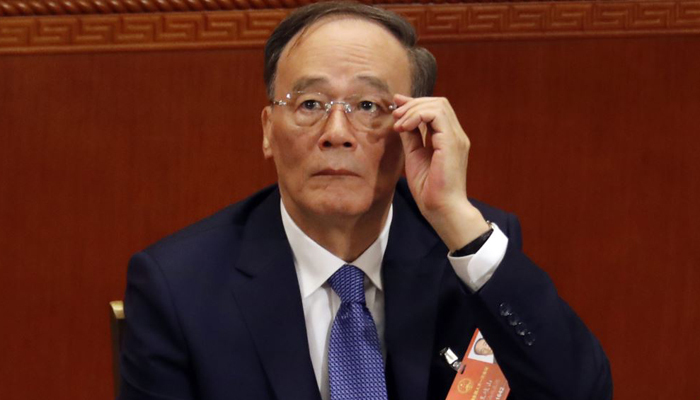 Davos– Wang Qishan, Vice-President of the People’s Republic of China, reaffirmed China’s commitment to building world peace, promoting global growth and upholding the international order, in a special address at the World Economic Forum Annual Meeting, on Wednesday. Wang explained that to understand China, one must turn to the lessons of history, adding that the advances in China in the past 70 years are not a godsend, nor a gift from others, rather, the results of Chinese people’s vision, hard work, courage, reform and innovation. “We will further improve and enrich socialism with distinctive Chinese features through reform and opening up. This is a path we believe in, and we will steadily forge ahead along this path,” he added. Moreover, Wang noted that globalization, lead to a disproportionate emphasis on efficiency, often at the cost of equity. He proposed that the solution to this problem is to continue making larger ‘pie’ – benefits of globalization – and to find a solution for a better way of sharing it. Wang believes that the Fourth Industrial Revolution – with its speed, scale and complexity, and the way it shapes human society – represents a significant evolution of the globalization process. Commenting on his speech, IHS Markit Chief Economist Nariman Behravesh said that he believes that the Chinese Vice President statements that western economies put too much importance on efficiency and not enough on equality, is a little ironic since China has had one of the most rapid increases in inequality in the past couple of decades.